If you’ve been following me, you’ve heard my constant ramblings about my excitement about the Erdem x H&M designer collaboration. It’s been on all over my blog and social media. I honestly could not contain my excitement. I have not been so in love with a designer collaboration for the past five years! To be honest, I’ve heard of Erdem way back and was not particularly interested in it. I loved the prints he made – it’s so artistic and genius… His piece’s details are all very intricate and it’s so romantic, just how I like it! But the cut? Not so much. I really want someone to tell Erdem that his cuts are not so flattering on so many types of body! I just could not find the perfect piece to justify spending so much on. Then, came the Erdem x H&M collection. He completely won me over and wowed me! This time around, I found the designs to actually work very well with his prints! The pieces were also flattering on an abundant amount of body types! Let’s just say, my wishlist was endless. I was also happy that the price range was no more than $300 per piece, which is affordable for what it is. I’m sure some may not agree, but to me, it’s like owning a piece of artwork and it’s to be added to my collection. How much would one pay for a painting or sculpture? That’s how I see this collection. So, today I’m sharing with you all my shopping experience fighting for this collaboration. I’m sure if you love fashion, you know how crazy the fight will be for H&M’s designer collaborations. Back track Balmain two years ago, some lines were already formed two days before release! I tried to keep control and not buy too many pieces, so I did not line up in stores and just tried to get what I can online. My heart was beating rapidly all night in excitement and I woke up every hour afraid I might not wake up to my alarm clock that was set at 7:45 AM. Release was promptly on November 2nd at 8:00 AM. I ended up waking up earlier than my alarm clock due to my constant wakings. My concept photographer, Christina and I have much anticipated this collection and we called each other as we woke up bright and early. We stayed on the phone throughout. The website was scheduled for maintenance at 7:45 AM to add the items online. At around 7:30 AM, I paid for another order online at H&M, just so I can add my card and save it for a prompt check out. At 8:00 AM the struggle was real – I was tapping the app on my phone and refreshing the website and it did not go through. I was placed in queue and was panicking about 5 minutes in. At a little past 8:05 AM, Christina got onto the website! I was still not able to, but luckily she got in and was able to help me purchase two of the dresses I really wanted. At around 8:10 AM, I was finally able to access the app. I checked out with another dress, a leather handbag, and a scarf. After that, I realized I checked out the wrong scarf and placed another order online for the correct scarf. Yes, it was a nerve wrecking experience, but it worked and I got all the pieces I wanted. Two is a great team! I suggest shopping with a friend if you ever want to do this. A problem I have with H&M is that I range from a size 2 to a 6 depending on the fit and cut of the pieces. I was afraid the size selections I made didn’t fit. Luckily, Christina’s mom got to work early around 8:00 AM and picked up another two dresses for us! It turned out for the halter dress, a size 6 fit me better and the size 4 I ordered would have choked my neck and made me uncomfortable. Her mom totally saved the day by helping me get a size 6! Her mom also got a silk scarf for herself while shopping for us! 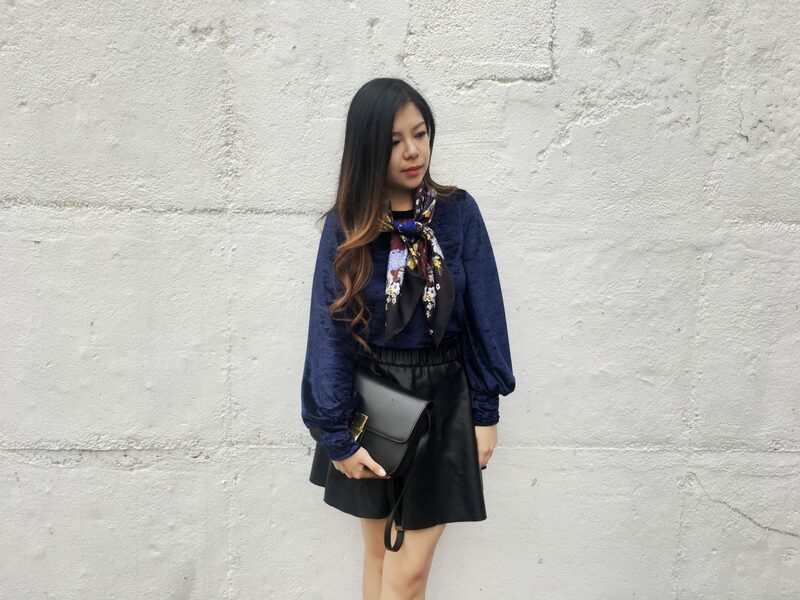 We ended up having two dresses on hand and a silk scarf to style. I still have two dresses, a handbag, and a small silk scarf scheduled to arrive by November 8th. However, my obsession for the collection did not die down. During the weekend, I hunted SOHO and my local mall for remnants of the collection. I have Christina to thank. She said the gown was a perfect fit for me and it was “the dress that got away” and I should’ve gotten it. And the leopard coat also suited me and it’ll be a little piece of Parisian for me. I admit. I’m easily swayed. I could not stop thinking about it afterwards. Unfortunately, the pieces that got away will forever be gone – I am not paying double or triple retail for it. As I hunted for the collection during the weekend, I found the mens collection at SOHO and heavily influenced my boyfriend to buy the wool coat. I tried not to, but he somehow got convinced. His purchase was completely justifiable. After all, his previous coat purchase was from over five years ago. 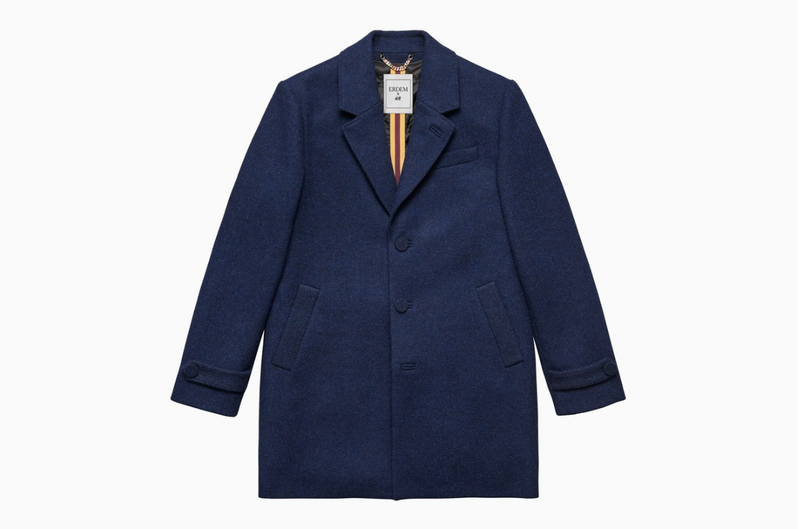 A 100% wool coat that is Erdem x H&M with tweed by Harris Tweed for $300 is quite worth it. He loved the intricate details of it as well and ended up snagging it. Unfortunately, there was nothing left for womens. Or perhaps, I was fortunate enough not to spend more on this collection. However, the obsession did not die down. I still keep checking the H&M app every couple of hours to see what items are back in stock. I know I’m falling off the edge of sanity. Sundays are fun days. I went to the mall to return something and obviously I ran straight for H&M to look for the collection. Behold! There was an abundance of womens pieces left of the collection! Nothing I wanted in terms of apparel, but I saw the scarf that Christina’s mom bought. I styled it previously and fell in love at the beautiful burgundy and how luxurious the print was. It definitely brought an outfit to life. So, boyfriend who was at first baffled at my obsession, somehow came to an understanding with my appreciation of this collection and bought me the scarf as a gift. 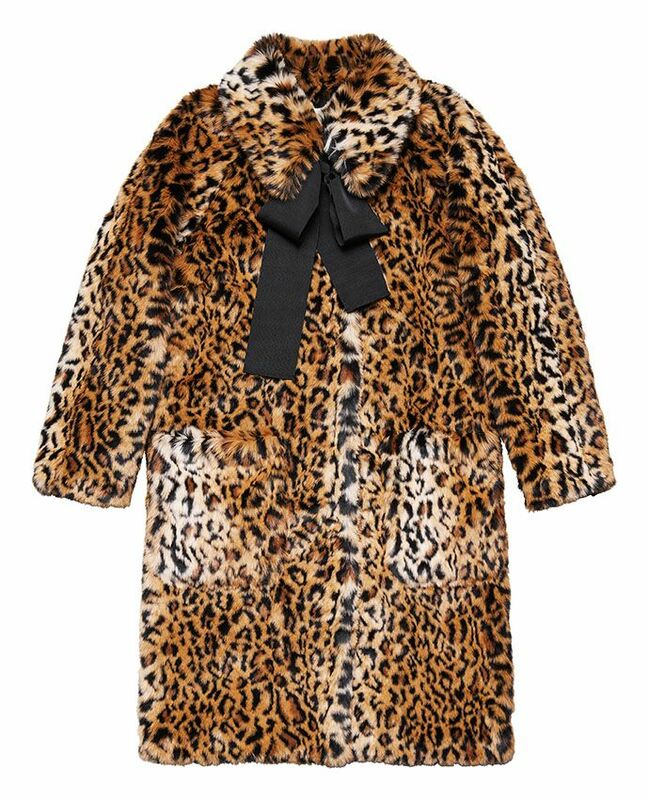 I am still blatantly obsessed and checking the H&M app endlessly for the leopard coat and “the dress that got away”. I have my regrets for not snagging it when I had the chance. However, I am certainly grateful. I ended up with three dresses, one handbag, and two scarves from the collection. Sometimes I feel guilty. As if, I fell in too deep. But this is probably the only time I would splurge for the brand, so I let it be. A couple of tips for shopping H&M x Designer Collab in the future for any one who becomes obsessed like me with a collection. Have your payment method saved. Use the H&M app and favorite all items before the release. It makes adding it to bag a lot easier when it does launch! Get on your laptop and app at least 15 minutes prior to opening time. Use both website and app and keep refreshing. Feel free to use multiple devices! If you have a friend willing to shop with you, do so! Two is a team! Even better if you have three! Do not lose hope! Always check in stores for returns! Once everything comes along, I will be doing a full look book on the collection! So keep an eye out for that! Let me know how you like the sneak peek of the collection so far and which pieces you like the best! I look forward to hearing from you all! 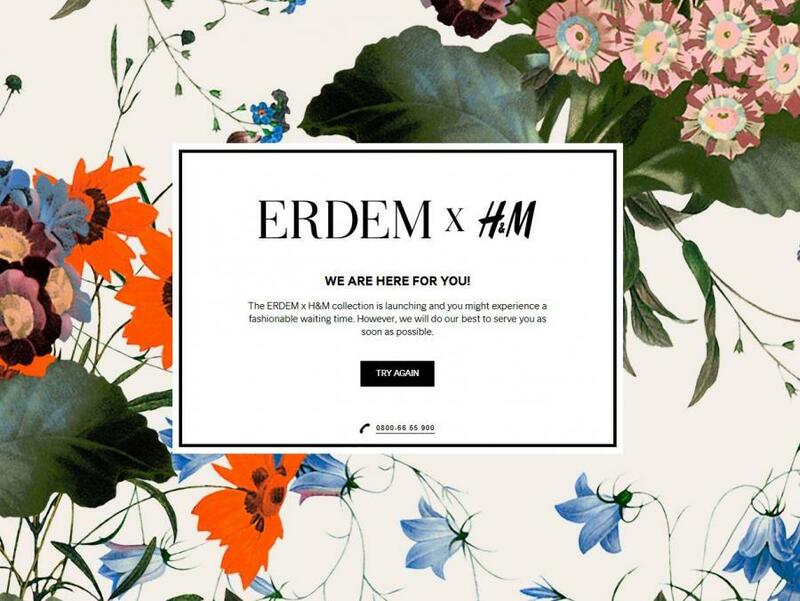 I am super excited for the Erdem x H&M collaboration as well! Right in time for some Fall dresses! I have never dared got into an H&M when they were launching a new collab. I had never though of the app but it is clever. The scarf is beautiful and I am loving the dress! I’ve never before heard of Erdem, but I love his creative style! 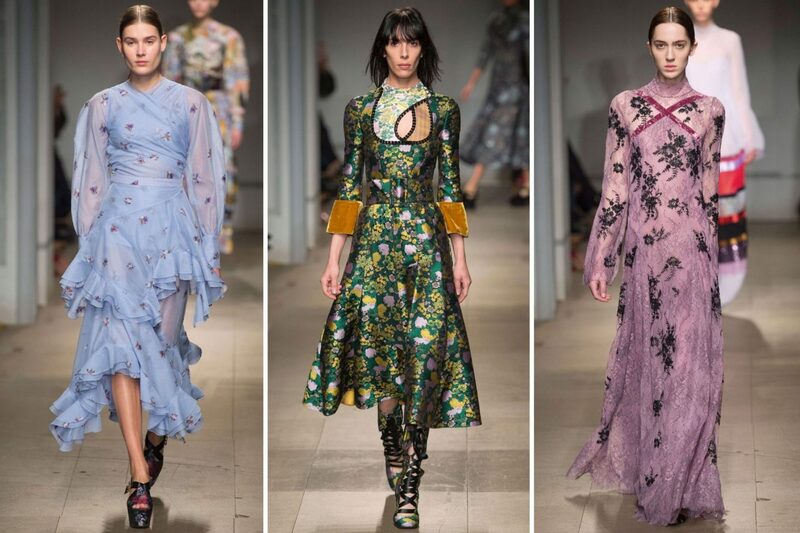 I’ll have to keep an eye out for his pieces the next time I’m in H & M.
Never heard of Erdem before but These dresses are so beautiful and elegant! I really like the light blue on at the top and the black shorter one! Good for you! I managed to get 7 items here in the UK, but it was sold out by 9:30 am! 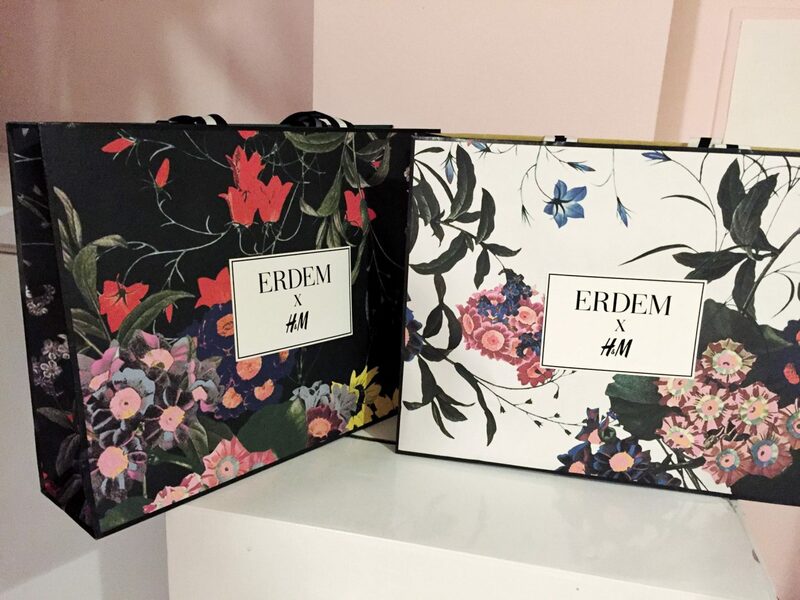 I’ve heard of H&M, but not Erdem. These look so beautiful. I love the prints, and styles. This is such a lovely collection! I’m glad you were able to get the pieces you wanted. I like that scarf! I have never heard of the Erdem line. I am a lover of colorful and bold items. I will check it at our local H&M. 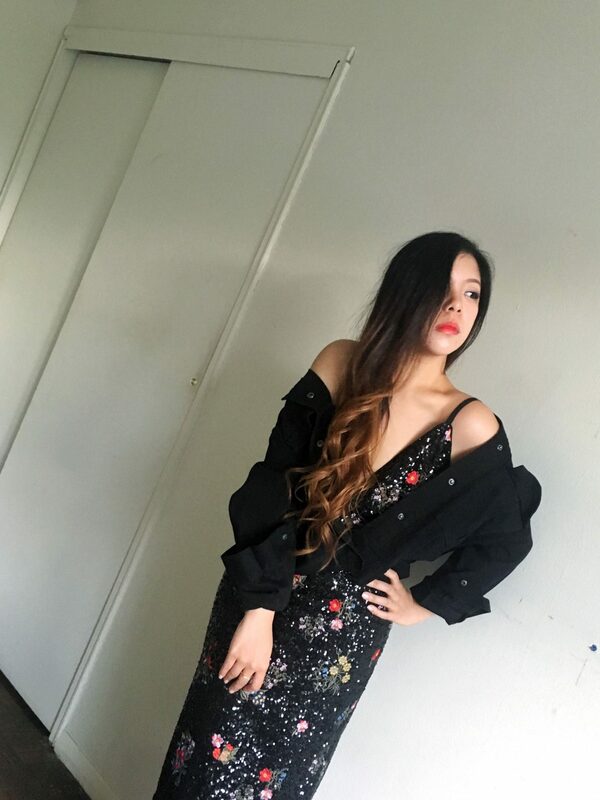 Looks like you got yourself a lot of beautiful dresses from the Erdem x H&M collection. I usually shop these, but just wasn’t feeling it this year. Plus, when I woke up that day pretty much everything was sold out, lol. I love the idea that the Erdem x H&M designer collaboration is bringing high fashion to the masses, it will go over well with H&Ms huge marketplace. Oh my gosh those dresses are gorgeous. 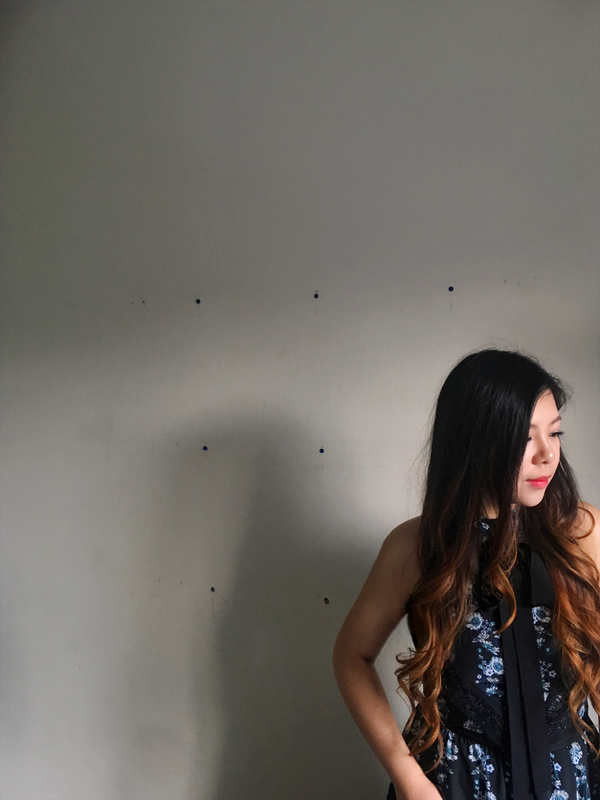 I’ve been trying to buy less clothing, but picking items that I absolutely love and are well made and will last. Oh wow what an absolutely beautiful collection from Erdem x H&M. I am going to have to check this out for myself I think. H&M is one of my favorite stores. I’m not a fan of florals, but these look great on you! H&M has always been known for their design collabs and I think it’s a great marketing strategy! I will have to look for this line. i would love to have a few of these pieces in my wardrobe. I like this new collaboration. I might be getting their new scarves. been waiting for this and was not disappointed! obviously! 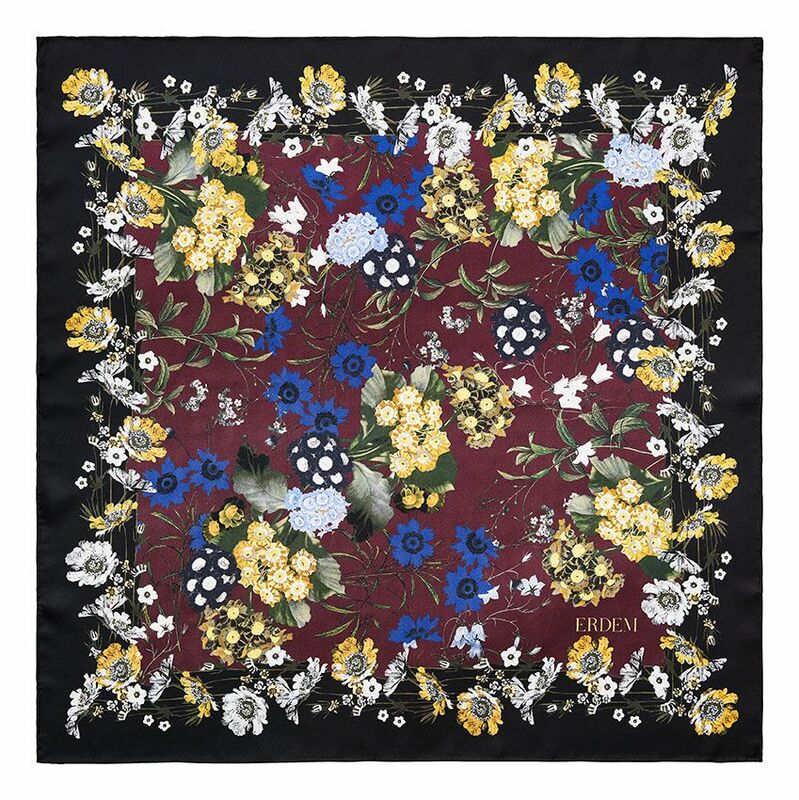 and the scarf is so beautiful! Florals are totally in for the fall. What a brillant collection with H&M hopefully I can get a dress. These looks are stunning! I am obsessed with the floral prints! I’ve never heard of this brand before I’m so happy you got what you wanted! You really pulled off the outfits! Also really loving the leopard jacket.. maybe a bit too much! Lol. It sounds like you had a kind of stressful experience when trying to get the items. Lol! But these clothes are so worth it! You look stunning! It is really hard to get your favorite pieces of this exclusive collection. I only got two items, and feel sorry for not getting the chance to buy more. I love these so much! Everything is so perfect for fall and I just love floral! Such a lovely collection. I really like the dress you’ve purchased. The pattern is stunning. This is an awesome collection!!! I will have to get that black dress!!! Oh my gosh it’s all so gorgeous. I love ERDEM! Erdem brand is new to me but I really like their fall collection. That black maxi dress looks gorgeous. I’m going to check it out. I really need to check out ERDEM. They look like something I love. Wow such a beautiful collection, love the pieces that you got. How awesome! And you look so gorgeous 🙂 I love your hair! The collection is so adorable. great tips.. and i’m upset I missed out on this! these pieces are so gorgeous!! I love H&M and your style! I love fashion as it is art to me! 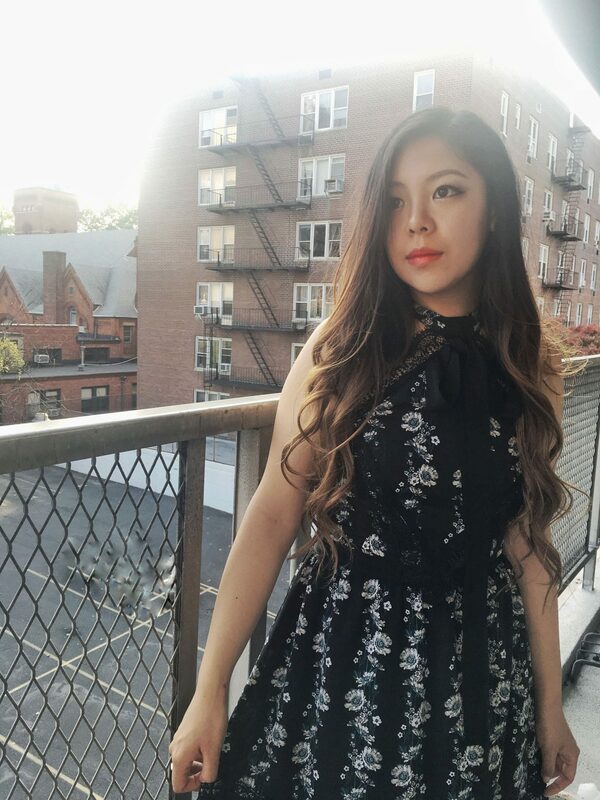 I love H&M and I use the app all the time! They came to our town recently and I just remember how it was! Lovin’ these styles! It’s been awhile since I’ve shopped with them so I’ll have to find some of these! That’s a lot of lovely inspiration dear, my fave is the leopard coat! Beautiful outfits! Perfect on you! even the shopping bags are beautiful?? wow!